The Beiguan Park, also known as Lancheng Park is a famous coastal park located in the northeastern side of the Yilan County. Found within the Toucheng Township in Gengxin Village and with Nanguan to its south, the park serves as the entrance to the Lanyang Plain, a coast park with truly abundant landscapes. This is also where it got its name ‘Beiguan’, which translates to the northern pass. During the Qing Dynasty, Beiguan served as a military outpost where Qing government soldiers camped and found refuge. As ordered by then-Emperor Jiaqing, it was initially set up to guard the Yilan area to the south that stands until today. It was known to be the best way of preventing the invasion of robbers at the time, which is why such importance was given to the area. Today, the park remains a natural ecology farm that sits facing the sea. Its scenery changes along with the four seasons mostly due to its varying fruit trees. There sit 2 ancient cannons that are remnants of the Qing Dynasty and which are said to be over 160 years old. It then provides an antique yet natural balance of history and nature that is typical of Beiguan. Due to millions of years of erosion, the park emerged to be a place of beautiful scenery with its massive rock formations. The most notable geological gesture of the area is its cuesta formations, tofu rocks or bean curd rocks and small capes. The park is situated on top of some of the largest cuestas in the county. In between the huge rocks and mountains are ladders, tails and sea view pavilions. When at the park, make sure to follow the footpath in order to see some interesting rock formations as they pound against the rocky shore. The park is also visited because of its spectacular view of the ocean and its surging strong waves. Because of the intensity of its waves, it was endowed by the name “Beiguan Tides”, which became one of the eight Langyan scenery spots to look forward to. 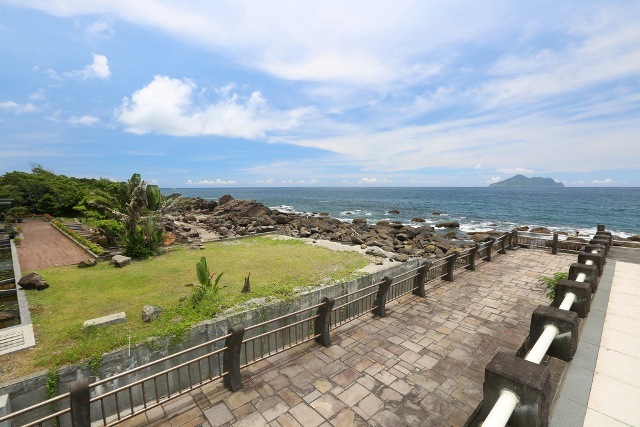 One site that should not be missed when visiting the Beiguan Park is the Guanhai Pavilion that overlooks Beiguan, the Guishan Island also known as the Turtle Island and Wai-io. The pavilion is a famous spot in the Yilan County that produces great views of the raging waves and an even more spectacular sunrise backdrop. The intense waves surge over the properly formed rocks with a rushing and powerful sound. It reminds visitors of the massive power of nature and what it can do. The best time to visit the pavilion is right when the tide rises and during sunrises. Because of the growing number of visitors of the Beiguan Tidal Park, food stands were set up within the area that offer mouth- watering snacks and some delectable seafood items. The Beiguan Park is found about one kilometer away from Binhai Road and is easily accessed by public transportation. Make sure to not miss one of Yilan’s most natural scenic spots and see roaring nature at its finest.